Stop using old blankets and towels as a seat cover for your pets and give your pooch a proper place to sit as they ride in the front seat. 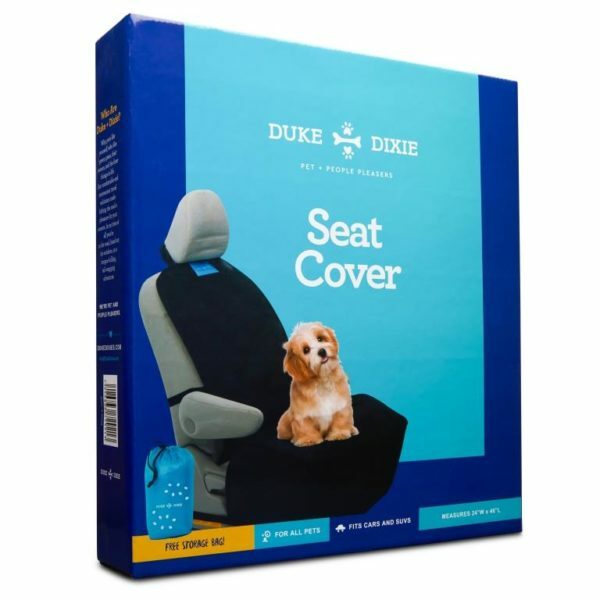 Provide protection and comfort for you and your pet with these front seat covers by Duke & Dixie, the pet and people pleasers. 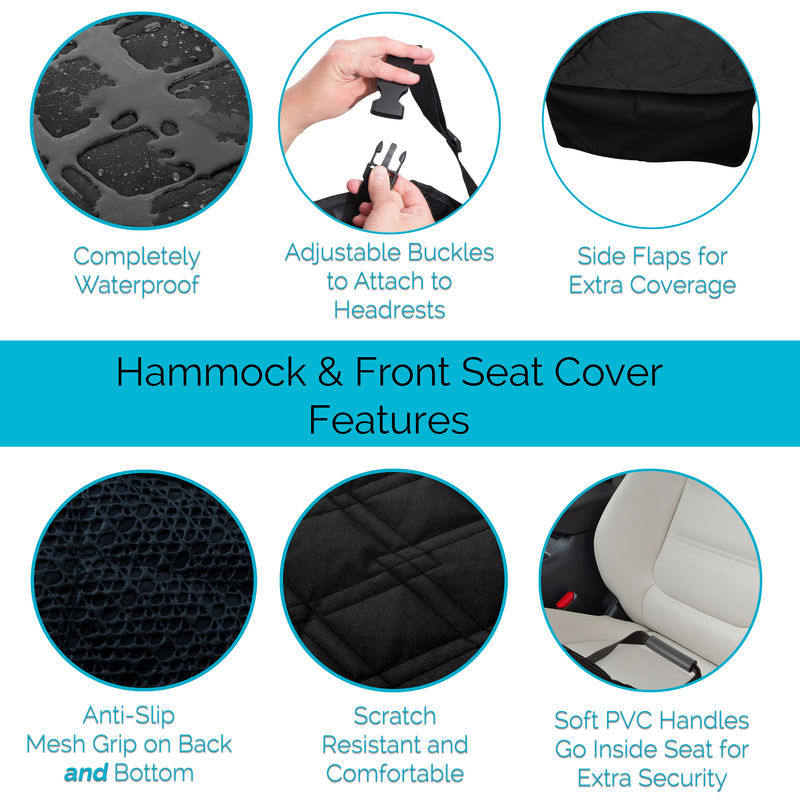 Unlike typical pet seat covers that only come with buckles that attach to the back of the head rest this one comes equipped with an additional buckle that reinforces the cover to the middle of the seat to keep it flat and secure. Adjust the straps to make a custom fit for your front seat. 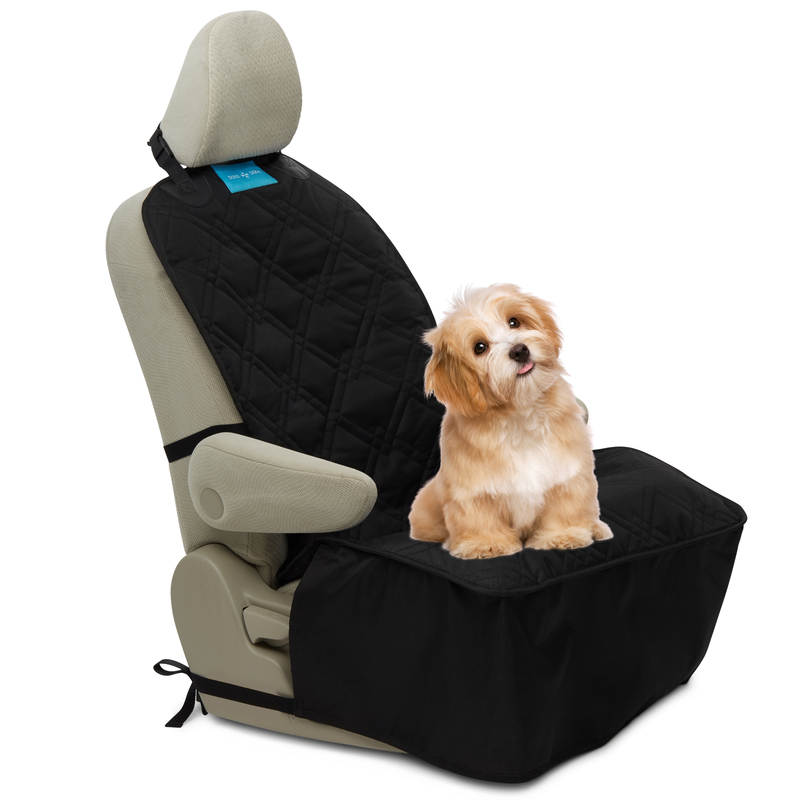 A durable quilted material provides cozy padding and comfort for your pup while protecting your upholstery from spills, messes, rips, tears, scratches and odors. Drive worry free knowing that your pet is snug and safe. Extra padding allows your pup or kitty to ride without slipping and falling. A non-slip back prevents slipping and sliding while a waterproof material shields liquids and makes it easy to clean. 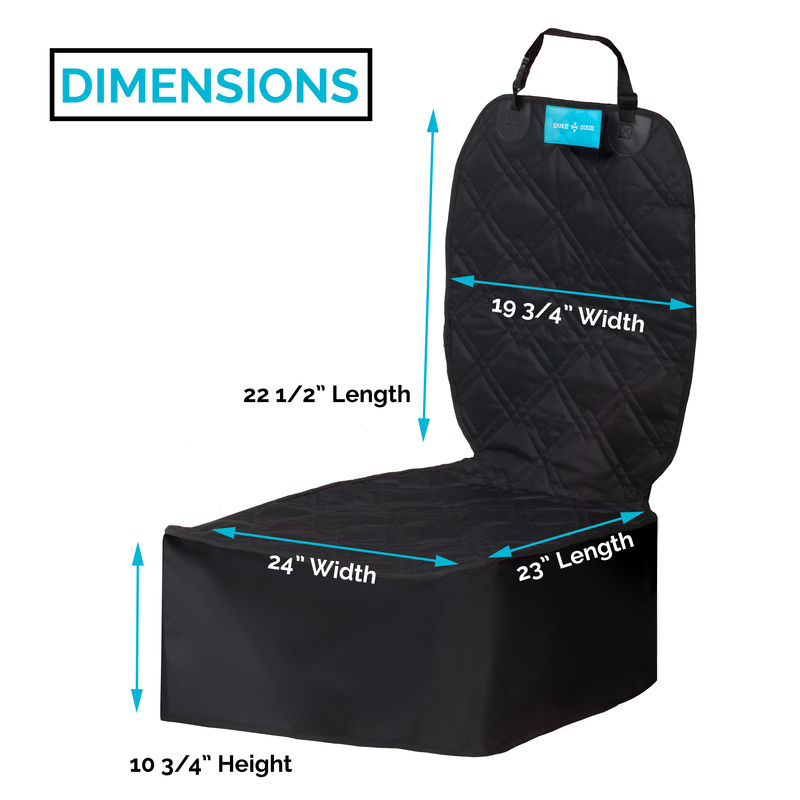 This seat cover comes equipped with a useful carrying tote that can also be used for storage and travel. Use it to store other pet accessories and supplies. It makes traveling with your animal friend easier and convenient. Keep your cover stowed away in the trunk of your car in this convenient bag. This cover isn’t just for dogs, it provides protection against a vast amount of things. Perfect for beach goers, construction workers, painters, and even parents! 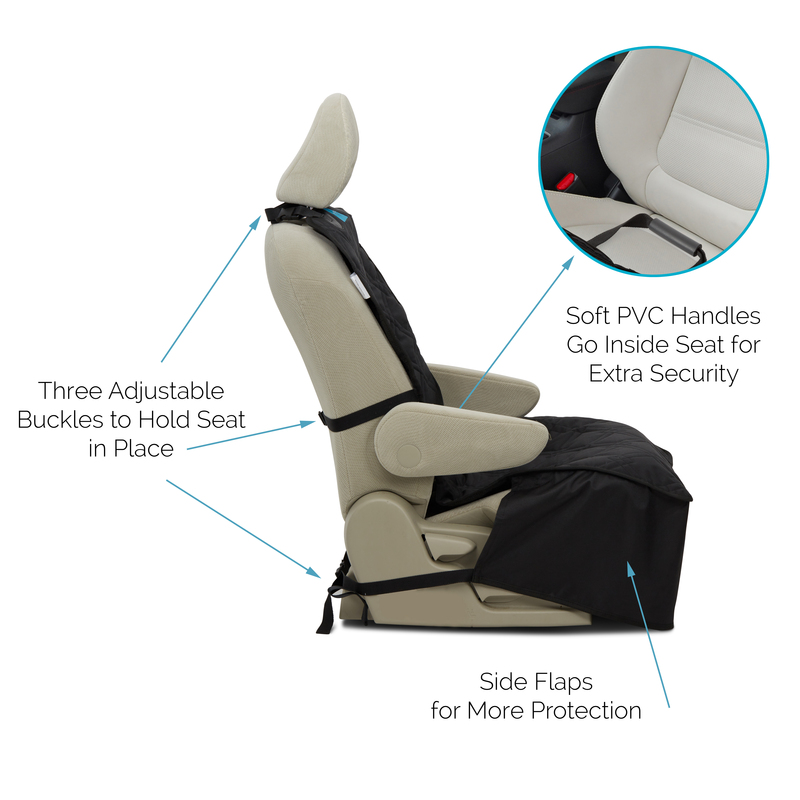 Unlike other protectors, this cover has 3 adjustable buckles – 1 at the headrest, 1 at the bottom and an an additional one behind the middle of the seat to provide a more snug fit. The top layer of cover is soft, quilted polyester to make your pets’ ride as comfy as can be. Skirt like flaps hang over and protect the three sides of the car seat. Protect your upholstery from spills, liquids and drool with a layer of waterproof pvc. 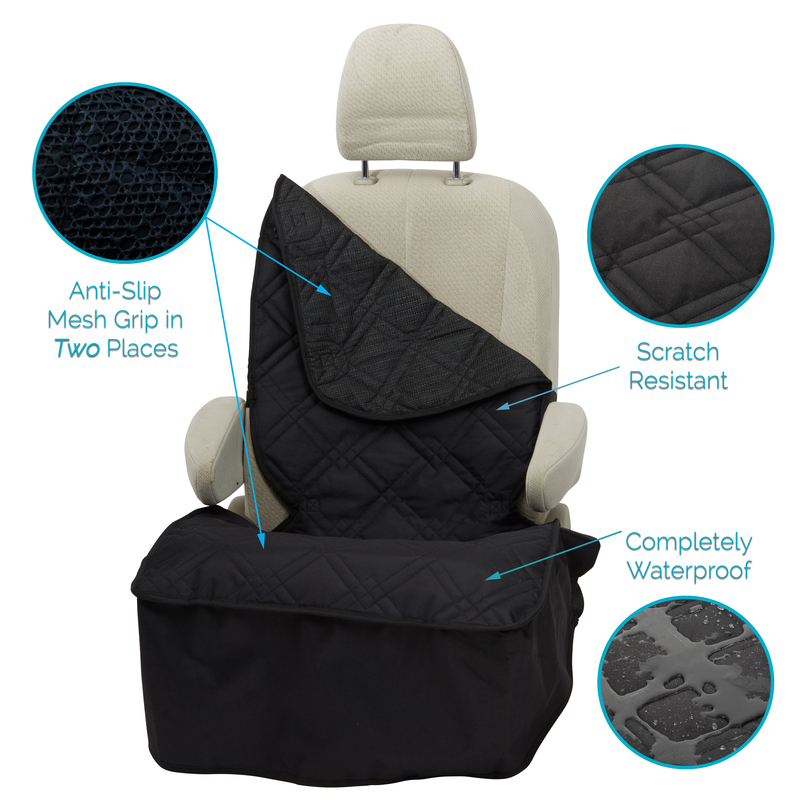 A rubber mesh backing provides double strength anti slip grip onto the car seat. 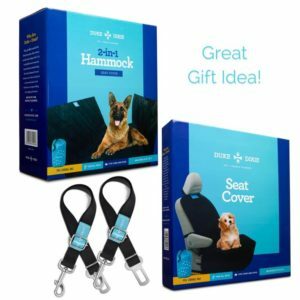 Fast and easy installation makes it easy to set up for your dog and to take off when you have human passengers and need a clean, odorless place to sit.